When installing a new bulb, never touch the glass. Either use gloves or paper towel when handling. Philips is committed to helping protect its customers from poor imitations of inferior quality that may damage a vehicle or result in personal injury. 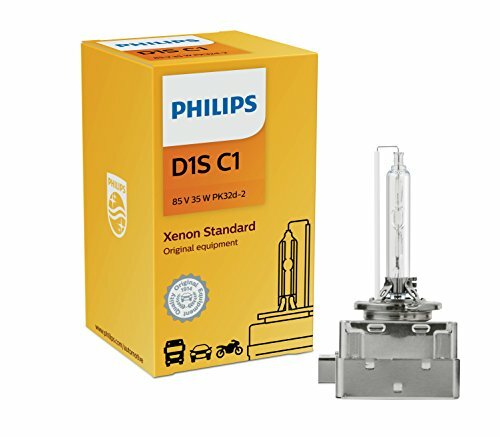 Every authentic Philips Xenon HID headlight bulb features a Certificate of Authentication (CoA) on its packaging. You can verify the authenticity through the QR code on the CoA or through our website. Always ensure you are buying genuine Philips products. Verify that the product packaging you receive includes the Certificate of Authentication sticker..Always replace in pairs to ensure a symmetric light beam from both bulbs on the road. Headlights dim over time.